Brand names such as Hanes, Fruit of the Loom, Jonathan Corey, Pine Island, and Inner Harbor are a few of the lines that are showcased for our customers. Fabric weaves like pique, combed cotton or needleout will compliment any office or sporting attire. Complete the look with dynamic headwear that displays your company logo or slogan. Many styles of caps are available and are cost effective in giveaways or as gifts. 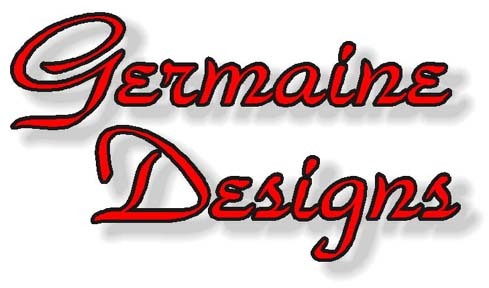 Nothing looks better than your logo, or other design, sewn in beautiful color onto a quality shirt or cap. 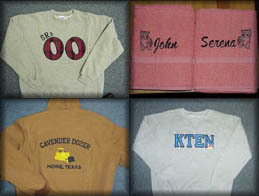 Our experienced in-house digitizing staff can take your logo and turn it into a design to be applied with state-of-the-art computerized embroidery equipment. We have a variety of products to suit your needs. 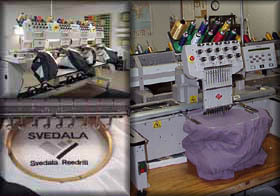 Our production staff will embroider your order to your specifications. Your product is quality checked then shipped to your location. Reorders are only a matter of a phone call or fax away. is dedicated to their customers. We are dedicated to our customers from the beginning to the end. 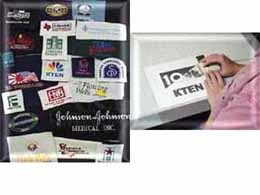 We provide all in house operations to produce a quality product that you would be proud to display. "Embroidery is a projection to others as you would see yourself to be." Embroidery is quality that lasts. From corporate attire to work uniforms to personalized gifts, we can provide for most all of your needs.